Securitas, a growing security company in South Africa has selected Striata, a global service provider of paperless solutions to provide secure eBilling and electronic payment to its customers. By going paperless and providing its customers with a secure electronic payment method, Securitas will benefit significantly from reduced DSO and carbon footprint, as well as increased security of invoice delivery and payment. The project is scheduled to go live in December 2011. “Delivery and late payment issues were plaguing our current paper billing system, so we started looking for a solution that could deliver our bills as secure encrypted email attachments, while enabling electronic payment from within. We are a global organisation, but our SA branch will be the first to run with this initiative,” says Theola Lambert, Group Financial Executive, Securitas. Securitas will be one of the first companies in South Africa to offer this solution to its customers. By December 2011 Securitas’ customers will be able to access their bills from their mobile phone, and by January 2012 customers will be able to pay their bill with just one click from within the email bill attachment. 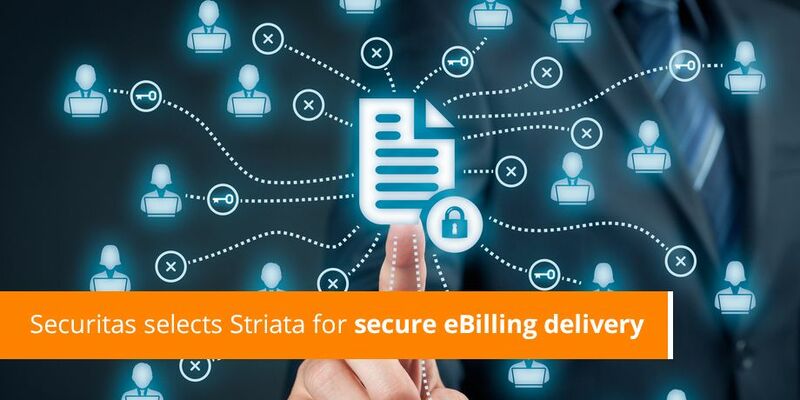 “This is quite a milestone for Striata, as Securitas will also be the first of our clients to provide our digital email bill payment solution – Striata BillPay, to its customers. Striata BillPay enables shorter payment cycles, operational cost savings, and simple reconciliation processes for Billers, while offering customers the ultimate in convenience by enabling them to pay directly from within their eBills. This is done via a secure one click payment process – following a simple, once-off registration,” explains Striata.